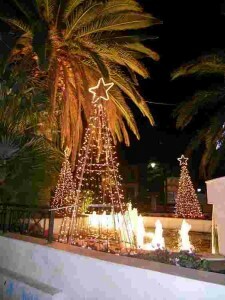 This photo was taken last year right before Christmas along the main street in Loutraki, Greece. 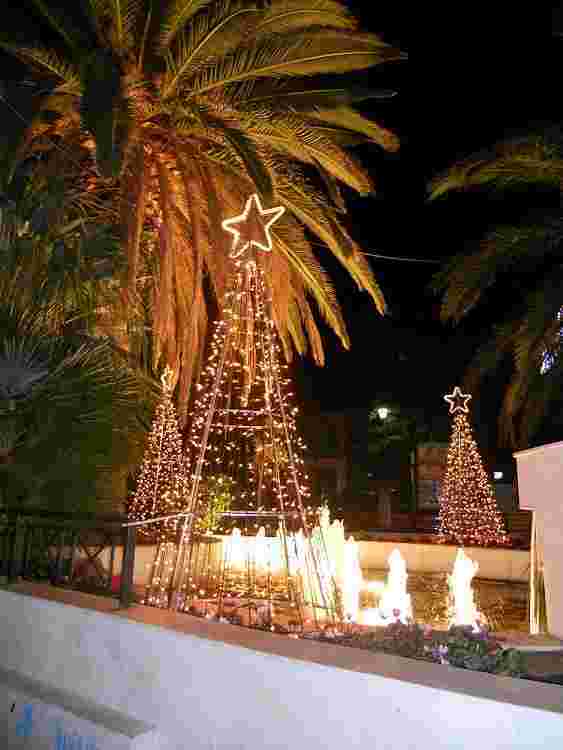 The Christmas tree of lights right in front of the palm trees always make me smile – so different from what we have here in Boston! Strolling through the square on balmy 70 degree night, the Christmas lights dancing off the water behind and the best part – wait for it – Dean Martin Christmas carols (in English!) coming from the town square loudspeakers. On this Christmas Eve, I’d like to share a more traditional and very beautiful Greek Christmas melody with you all that I look forward to hearing every year in church. Καλά Χριστούγεννα!